• Water Supply through common bore and Underground Storage Tank for adequate Water supply. • Free Hold Title Clear Industrial N A Land. • Industrial Park with Complete Infrastructures Ready. • Total Area Spread over more than 60 Acres. 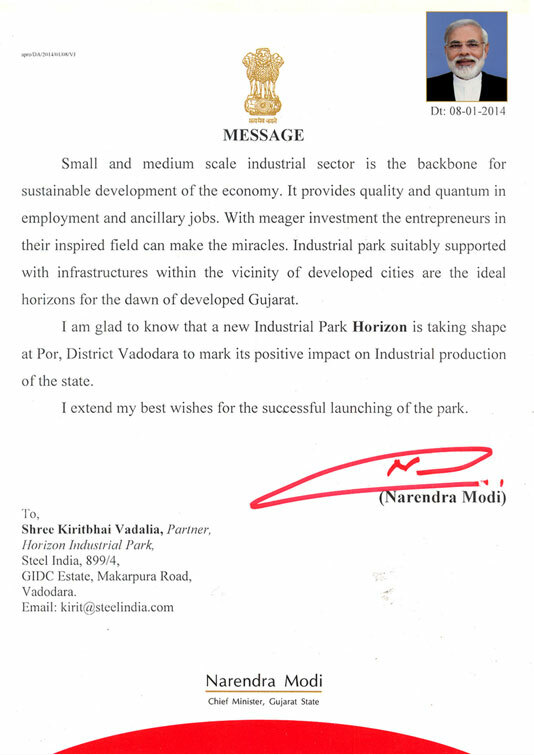 Phase I already occupied by all types of Small, Medium & Heavy (MSME) Engineering and Mechanical industries including MNC’s. 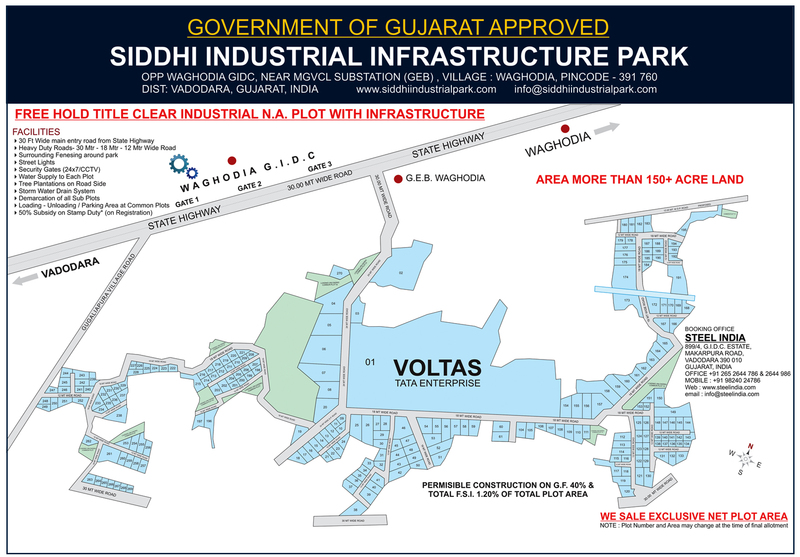 • Industrial Plots from 450 Sq. Mtr. to 45,000 Sq.Mtr. (Level Plots). • High Quality of Heavy Duty Roads to take Heavy Loads. • 30Mtr. Wide Entry Road, 24Mtr., 18Mtr., 12Mtr. & 9Mtr. Wide Internal Roads. • Strom Water Drain System. 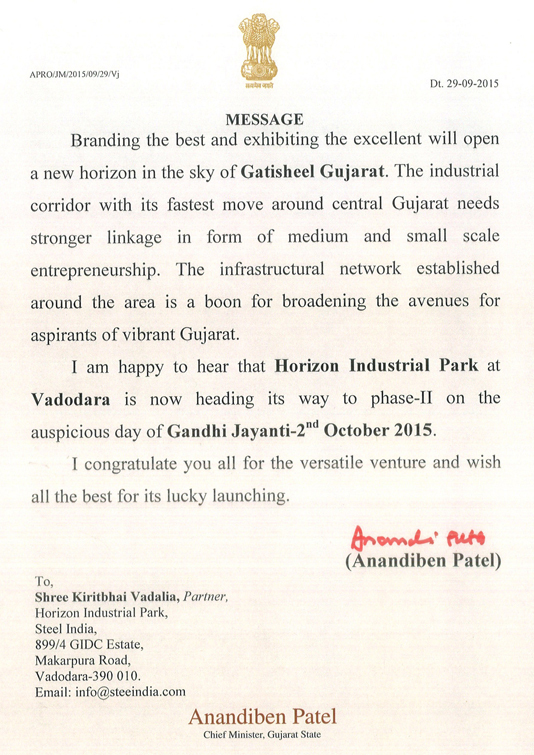 • Street Lights to illuminate the Industrial Park on all Internal Roads. • Proper Demarcation of all Sub Plots. • Tree Plantations on Road Side. • Impressive Entry & Exit on Both Main Road Approach. • Administrative Building for Entire Industrial Park.